Another season of Alex Rodriguez in Boston and another dominating regular season for the Red Sox. Alex would put up MVP like numbers once again but would be beaten out in the MVP race by his teammate, Hanley Ramirez. I hate to be an AROD apologist but Alex was robbed again. Hanley now has 2 MVPs playing DH while Alex wins gold gloves playing shortstop. Both Manny and Alex are behind their pace in real life. 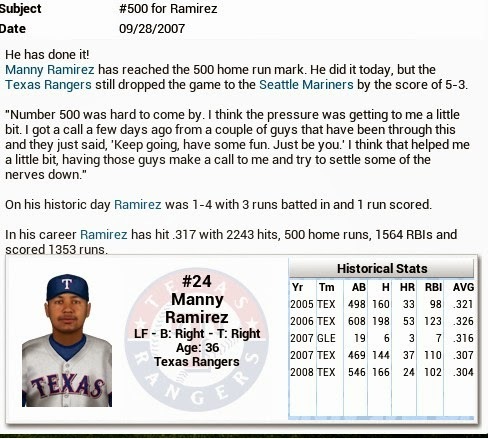 Alex hit his 500th homer in real life in 2007 while Manny hit his early in 2008 not late in 2008. However, all the personal stats mean nothing. 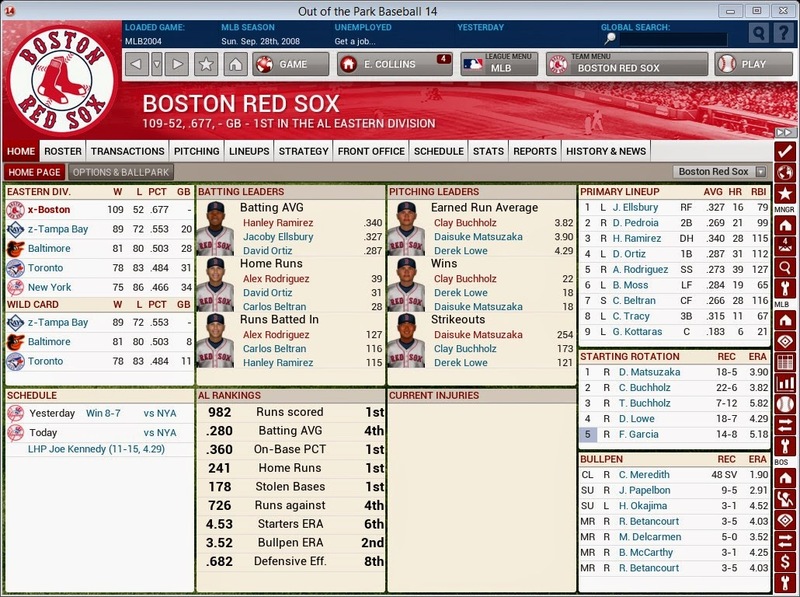 The regular season dominance by the Red Sox means nothing because once again they failed in the playoffs. 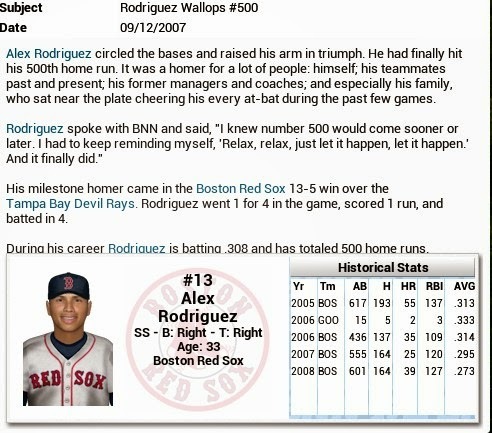 Since AROD arrived in 2004 the Red Sox have won over 100 games in every season except 2004 when they won 99 games. 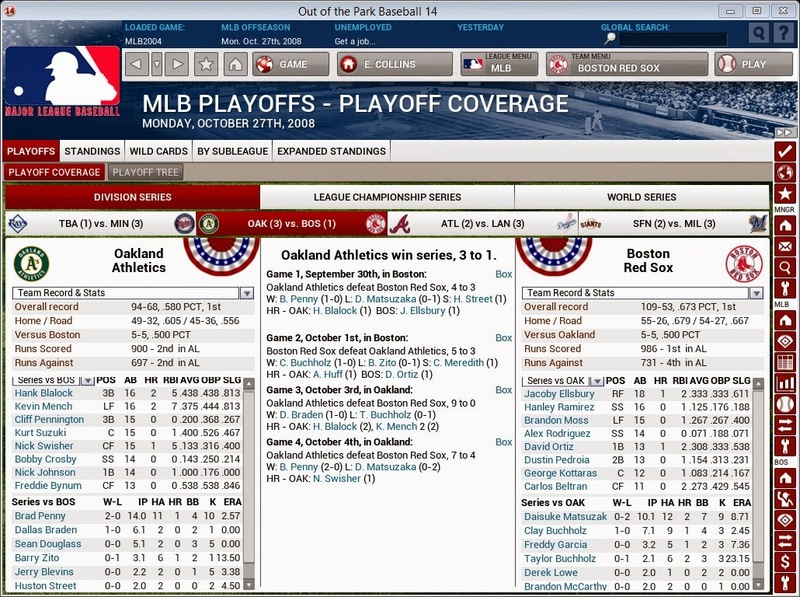 Yet, they have only made it to the ALCS once and never the World Series. 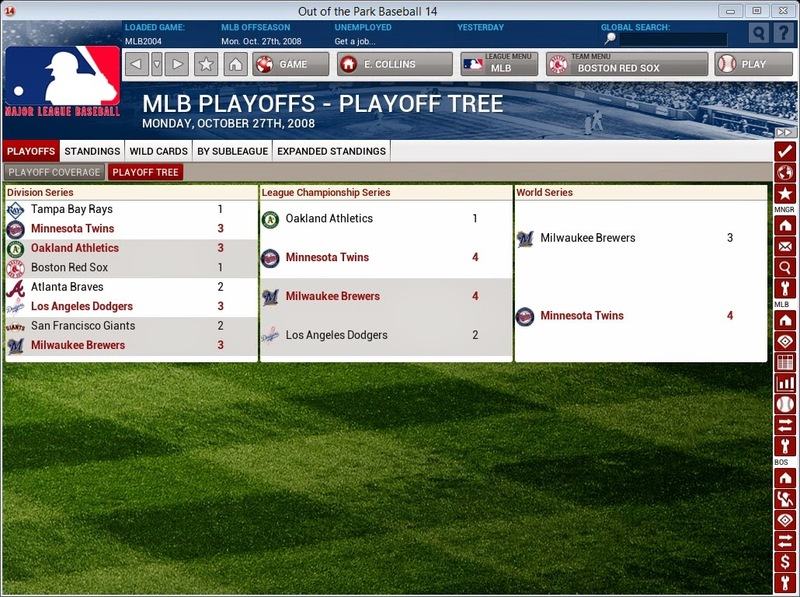 In 2008, they would fall again in the divisional round. AROD has been really good in the playoffs for the Red Sox but in 2008 he struggled against the A's and definitely wore the goat horns. 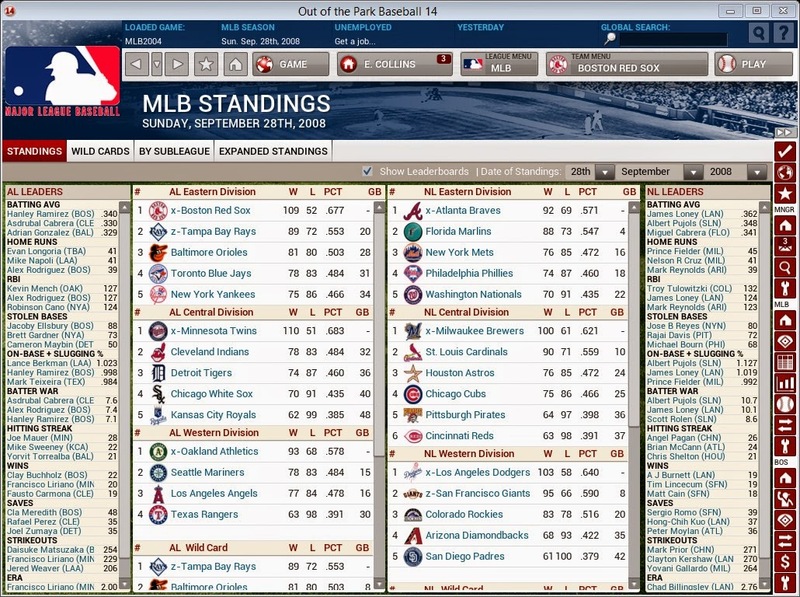 Will 2009 be the year? In real life, it was the season when Alex finally got his ring. Stay tuned. Labels: What if Alex Rodriguez was Traded to the Red Sox?